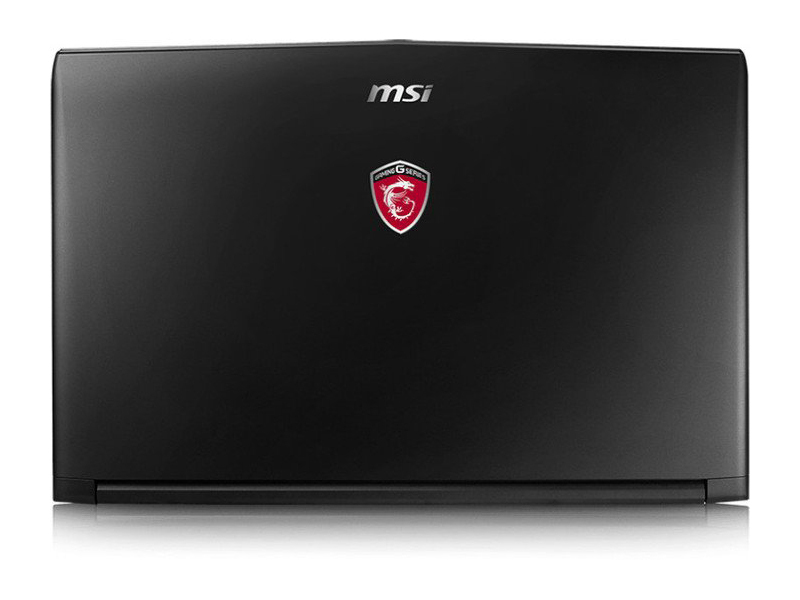 The MSI GL62-6QDi581 is a gaming laptop with high performance hardware. It features an Intel Core i5 6300HQ quad core processor of the 6th generation (4 x 2.30 GHz 6MB cache), 8 GB DDR4 PC3 12800 1600 MHz RAM, a 1 TB 7200 rpm hard drive and an Nvidia GeForce GTX 950M 2GB VRAM graphic card. Its anti-glare 15.6-inch LED display features Full HD resolution (1920 x 1080 pixels) and wide viewing angles. The Windows 10 Home 64 bit system measures at 420 (W) x 287 (D) x 37 (H) mm and weighs at 2.8 kg. It has an integrated 6-cell lithium ion battery with 3834 mAh / 41.4 Wh. In order to improve gaming experience, it features two-way stereo speakers with Nahimic Audio Enhance for enhanded audio and a gaming keyboard from SteelSeries for enhanced keystroke feedback. For wireless connectivity, it has Bluetooth 4.0 and WiFi included. The connectivity includes a Mini-DisplayPort, an HDMI port, a USB 3.1 port, two USB 3.0 ports, a USB 2.0 port and a 3-in-1 card reader (SD, SDHC, SDXC). 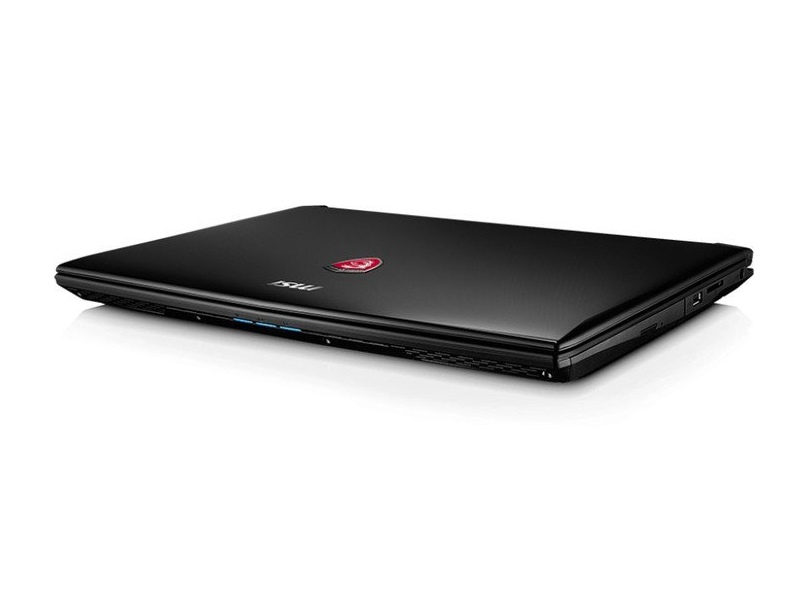 The MSI GL62-6QC-065UK is a high performance laptop built for gaming purpose. An Intel Core i7 CPU of the 6th generation with Intel HM170 chipset, up to 32GB DDR4-2133 (2 slots) RAM and a GeForce 940MX GPU with 2 GB DDR3 VRAM are suitable for this purpose. As for storage, it features a 2.5" HDD and a NVMe M.2 SSD by PCIe Gen3 X4 / SATA-SSD Combo. With a size of 383 x 260 x 27~29 mm and a weight of 2.3 kg, it is very lightweight gaming laptop for gamers on the go. It features a 15.6" Full HD display (1920 x 1080 pixels) with 94% NTSC wide-view panel, which delivers sharp and contrast-rich images for optimum gaming experience. Besides that, it features four speakers with exclusive audio boost technology and Nahimic audio enhancer for stunning audio experience. In addition, it comes with a SteelSeries keyboard. Furthermore, WiFi 802.11ac and Bluetooth v4.0 is featured for wireless connectivity. The connectivity includes an SD (XC/HC) card reader, an HDMI port, a USB 2.0 port, two USB 3.0 ports, a USB 3.0 Type-C port, a Mini-DisplayPort v1.2, a microphone/headphones jack and a Gigabit LAN port. Positive: Impressive design; compact size; excellent cooling system; powerful hardware; comfortable keyboard. Positive: Powerful hardware; high gaming performance; compact size; excellent speakers; good cooling system; nice display. Negative: Easy getting fingerprints. MSI GL62M 7RDX has one of the best price/performance ratios in this category. It utilizes the GTX 1050 fully while keeping temperatures low and noise levels relatively quiet. The CPU in this machine has already been proven in battles, although it can get quite warm, especially compared to the Nitro 5 low-voltage Ryzen 7 2700U processor that barely warms up. However, titles like GTA V and Far Cry Primal won’t be any trouble for this device even at medium-high settings. Positive: Large screen; good hardware; decent speakers. Negative: No backlit keys. Positive: Powerful hardware; high gaming performance; good price. Negative: No optical drive. Positive: Large screen; decent hardware; nice performance. MSI GL62M 7RE-407 tries to look like a true gaming notebook and in all honesty, it is one. Certainly the GeForce GTX 1050Ti is a mid-range card with which you might need to make a sacrifice or two, but that would be a rare case anyway. The other specs, mainly the 7th generation Core i5 processor and 256GB SSD are very decent options for laptop gaming. I can not really criticize this computer because it offers quite much for the price. If you want a full gaming experience without paying an arm and leg, this MSI is something you should go for. 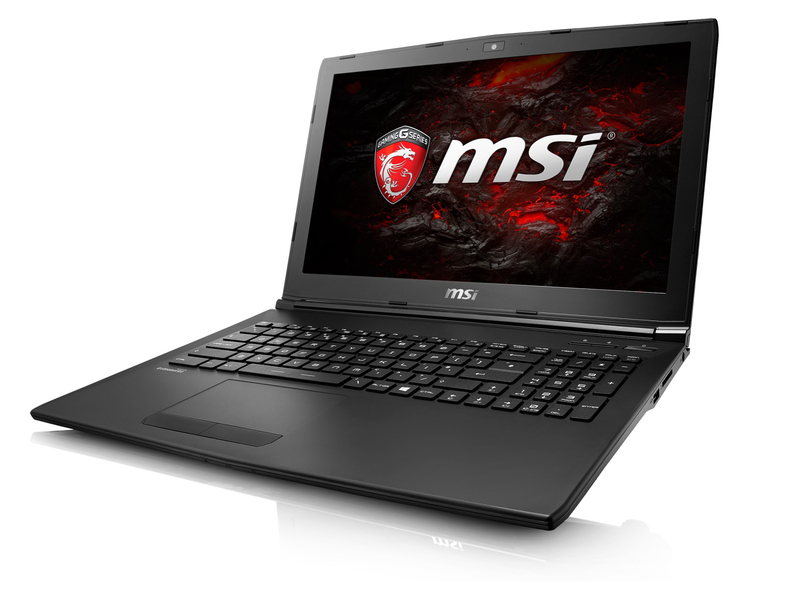 The MSI GL62 7QF-1660 is a low-cost 15.6-inch gaming laptop. "Gaming starts here” is MSI’s slogan to advertise the pretty inexpensive GL62. Compared to other models from the GE or GS series, however, the manufacturer has cut some corners. For example, the 15-inch model lacks a keyboard illumination as well as an IPS display. Both the design and the port selection of the GL62 are reminiscent of the 15-inch sibling GE62. MSI decided to take the GL62 design down a notch by making it with a modest black plastic cover unlike its cousin, the GE62. Unlike some other MSI notebooks, the design is surprisingly subtle and has nothing much about it that shouts gaming. It mainly uses the colour black, and there are only some red elements on the lid and the bottom. As for the display, MSI only implements a TN-panel on this laptop. Under the hood, it is powered by an Intel Core i7-7700HQ, which is 8% faster than the i7-6700HQ under average usage. The 7th generation Intel Core H series processor utilizes a power-efficient microarchitecture, advanced process technology and silicon optimisations to deliver faster performance than processors of the previous generation. Thanks to the solid-state disk, the laptop boots up quickly and the system is generally fast. MSI also includes a conventional 1TB hard drive to avoid space problems. Nvidia's Optimus technology, which uses either the GeForce GTX 960M or the integrated GPU of the processor (HD Graphics 530), has a big effect on the battery runtimes. The battery has a capacity of 41 watts, which is quite low, since the competition is usually equipped with 60-Wh modules. MSI has equipped the GL62 with various applications and tools. In addition to the System Control Manager, the Dragon Gaming Center is interesting. The latter includes monitoring and special functions such as the Shift mode, which adjusts the clock behaviour of the CPU and the GPU depending on the setting (Green, Comfort & Sport). The sound can be optimised via Nahimic Sound Enhancer. The Nahimic audio software offers high definition sound technology, which boosts the audio and voice performance of the gaming computer. Office 365 and Norton Security are included as trial versions. Movie enthusiasts will be happy about CyberLink Power DVD 12. MSI uses the WLAN module Wireless-AC 3165 from Intel. As befits a modern gaming notebook, the module supports WLAN 802.11 a/b/g/n as well as the AC standard (2.4 & 5 GHz, up to 433 Mbps) besides Bluetooth. In terms of connectivity, it has an RJ45-Ethernet, Kensington Lock, two audio jacks and two video ports, which are essential for a gaming notebook. It also has two USB 3.0 Type-C ports. It is quite well equipped for a relatively cheap gaming notebook. The MSI GL62 7QF-1660 is a good buy for casual gamers that are on a budget. Its main competition is the Dell Inspiron 15 that also offers mid-range gaming capabilities, but at a lower price. MSI GL62 7QF-1660 holds strong even though it can not compete with gaming laptops in the +1000 dollars category. The main difference is – naturally – in graphics performance, where the GTX 960M can be seen as a mid-range graphics processor. However, considering that you won’t be able to use ridiculously high resolutions due to screen’s limitations, the oomph for gaming is sufficient here. So it pretty much boils down to that: if you are happy with smooth Full HD gaming experience, there are no questions about this MSI’s usefulness to you! Positive: Large screen; nice display; decent hardware; good speakers. Positive: Attractive price; nice display; backlit keys; good cooling system. Negative: Short battery life. Positive: Large screen; good hardware; high gaming performance; backlit keys. [Análisis] MSI GL62M 7REX-1252, ¡El gaming en portátiles nunca había sido tan asequible! Positive: Good price; large screen; nice display; decent hardware; good connectivity. Negative: Short battery life. Positive: Compact size; light weight; excellent price / performance ratio; good hardware; nice connectivity. Negative: Overheats while using; mediocre speakers. Positive: Decent display; good hardware; nice connectivity. Negative: Low autonomy. Positive: Good price; decent hardware; nice gaming performance. Positive: Good price; powerful hardware; nice display. Negative: No backlit keys; low autonomy. Positive: Large screen; good price; decent hardware; nice gaming performance. Positive: Large screen; high mobility; powerful hardware; high gaming performance. NVIDIA GeForce GTX 950M: Mid-range graphics card of the GeForce GTX 900M series, based on the Maxwell architecture.NVIDIA GeForce 940MX: Mid-range laptop graphics card based on the Maxwell architecture. Compared to the older 940M, the MX now also supports GDDR5 graphics memory and maybe slightly faster clock speeds.NVIDIA GeForce GTX 960M: Upper mid-range graphics card of the GeForce GTX 900M series.NVIDIA GeForce GTX 1050 (Laptop): Mainstream graphics card based on Nvidia's Pascal architecture and successor to the GeForce GTX 960M. Is manufactured in a 14nm process at Samsung and the technical specifications are very similar to the desktop version.NVIDIA GeForce GTX 1050 Ti (Laptop): Mainstream graphics card based on Nvidia's Pascal architecture and successor to the GeForce GTX 965M. Is manufactured in a 14nm process at Samsung and the technical specifications are very similar to the desktop version.Modern games should be playable with these graphics cards at low settings and resolutions. Casual gamers may be happy with these cards. Intel HD Graphics 630: Integrated GPU (GT2) with 24 EUs found on some Kaby-Lake-H CPU models (mobile and desktop).These graphics cards are able to play the latest and most demanding games in high resolutions and full detail settings with enabled Anti-Aliasing. 6300HQ: Skylake-based quad-core processor for notebooks. Offers an integrated HD Graphics 530 GPU and is manufactured in 14 nm.7300HQ: Quad-core notebook processor based on the Kaby Lake architecture running at 2.5 - 3.5 GHz without Hyper Threading (which is supported by the faster i7 CPUs). The chip also integrates the HD Graphics 630 GPU clocked at 350 - 1000 MHz and is manufactured in a 14 nm process (improved compared to Skylake).Intel Core i7: The Intel Core i7 for laptops is based on the LG1156 Core i5/i7 CPU for desktops. The base clock speed of the CPUs is relatively low, but because of a huge Turbo mode, the cores can dynamically overclock to up to 3.2 GHz (920XM). Therefore, the CPU can be as fast as high clocked dual-core CPUs (using single threaded applications) but still offer the advantage of 4 cores. Because of the large TDP of 45 W / 55 W, the CPU is only intended for large laptops. 7700HQ: Quad-core notebook processor based on the Kaby Lake architecture. Besides four CPU cores (including Hyper Threading), the chips also integrates the HD Graphics 630 GPU and is manufactured in an improved 14 nm process. 74.61%: This rating is bad. Most notebooks are better rated. This is not a recommendation for purchase.» Further information can be found in our Notebook Purchase Guide.